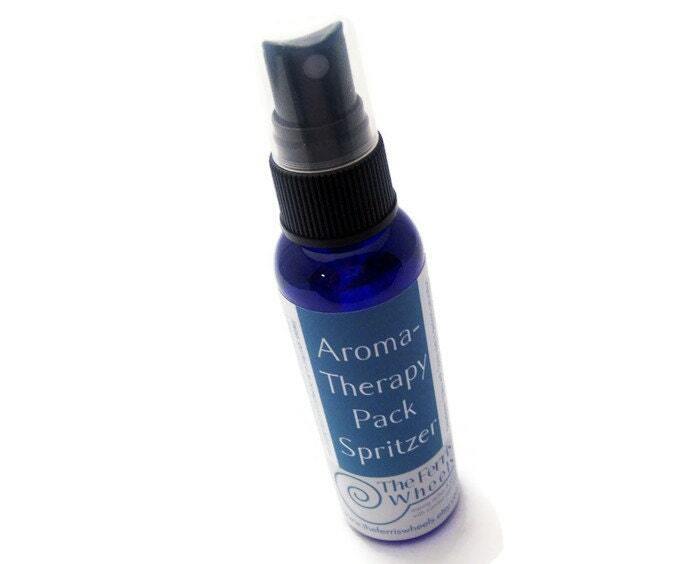 aromaTHERAPY Pack Spritzer, 2 oz. Our sprays are specifically created for hot and cold therapy packs and produce a light scent designed to last 30-45 minutes. 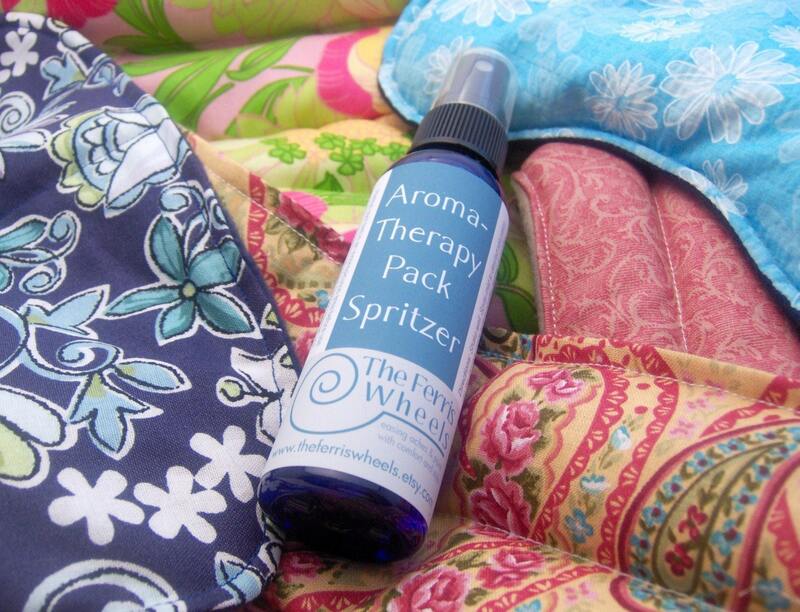 Even scented therapy packs lose their aroma over time, and these sprays are a great way to freshen them up! 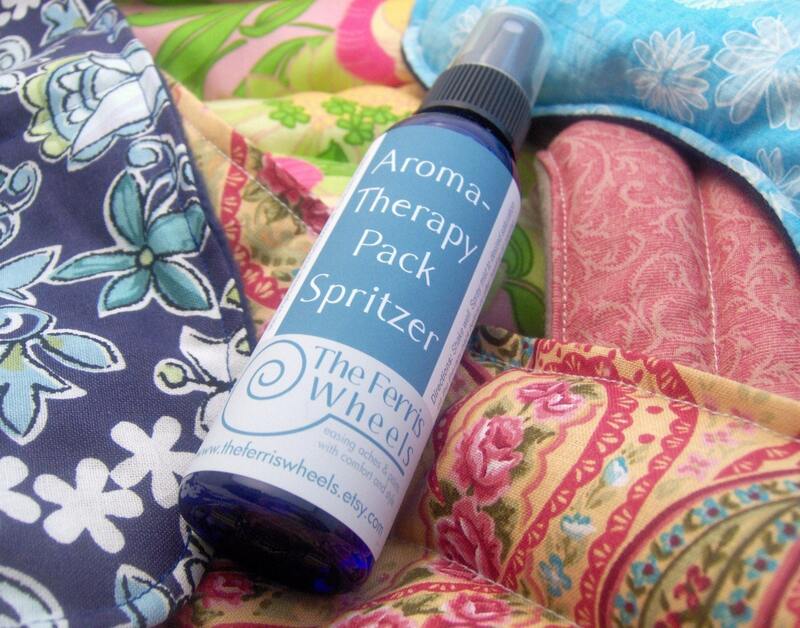 In addition to delievering soothing aromatherapy mist, spritzers help keep your microwavable hot/cold packs (rice, flax, corn, wheat, etc...) from drying out and losing their ability to retain heat. Please choose scent in drop down menu. We are the largest seller of microwave heating pads on etsy - please check out our whole line! 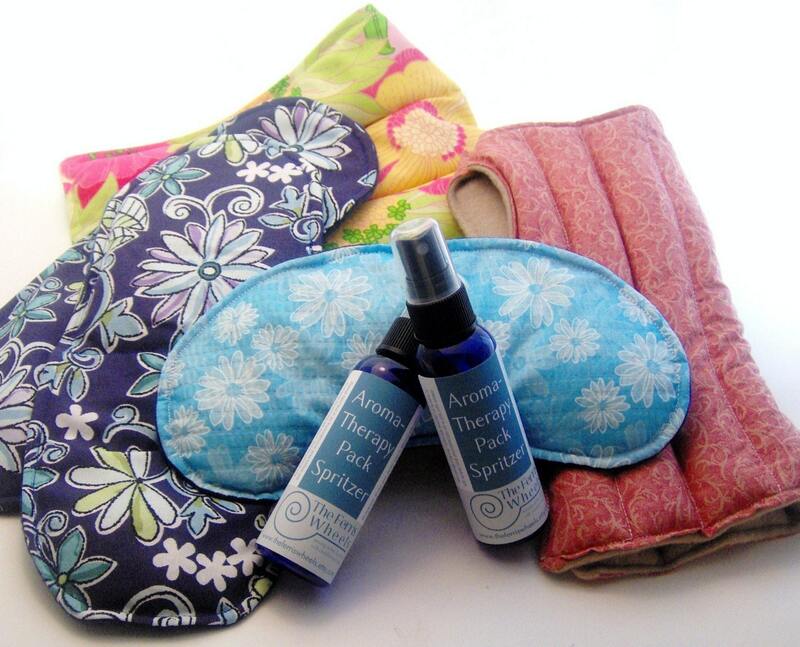 Aromatherapy is by no means a cure-all, but it is an excellent complimentary treatment to hot and cold therapy. Spritzers are not intended for internal use, and information is not meant as medical advice or to treat any illness. If you have a serious health concern, please consult a qualified physician.